Hello. I’m Tim Steele, host of The Potato Hack Chronicles. My goal with this blog is to present new information about gut health, potatoes, and nutrition. This blog is designed so that no matter where you land, you’ll find useful information. You won’t need to re-read every single blog post to piece together my secrets. There are no secrets, only information. Health is a journey. I believe that it starts with nutrition. Everyone on the planet will be healthier if they give up the three biggest contributors to modern disease: Refined sugars, refined oils, and refined flours. Focus instead on real foods. Eat whole grains and lots of plants. Stay away from shelf-stable packaged foods. Exercise, sleep well, and remove stress from your life as much as possible. Read all that you can about health and nutrition. Our overall health is related to the condition of our intestines. Maintaining healthy guts is paramount to staying healthy. Modern foods take a toll on our guts and immune system. We have plenty of pills to help you feel better, but a better plan is to give up the foods that made you sick in the first place. There are lots of eating plans, and there’s certainly one for everybody. But if you try one, and feel worse, move on and find another diet. Keto, low carb, high carb, vegan, plant-based, or combinations of these themes have helped many people overcome disease and obesity. I pioneered a plan known as The Potato Hack, and even wrote a book about it. The Potato Hack is a short-term intervention that works well with any diet to lose a couple pounds quickly, and to regenerate the bacteria that help keep your intestines healthy. I have a master’s degree in biotechnology, I’m not a nutritionist or a doctor, so take any advice I give with a grain of salt. The bulk of this blog will be devoted to uncovering new research that shows the gut and its inhabitants control our health in profound ways, and that potatoes are one of the world’s best foods for maintaining a healthy gut. I like to focus on the underlying mechanisms of gut health and dig deep into new research to find pearls of wisdom that may benefit the health of all humans. I hope you enjoy reading what I write and find these blog posts useful. I’m loving the potato hack diet, I’ve been on it now for 11 days and I’ve lost 7 pounds.. which is a great start for me. however the weight has stalled over the last 4 days. can you recommend what I can do differently with the diet to help kickstart it again? Amy, I think the best way to make the potato hack work best is to do it intermittently, and be happier with slower weight loss if you have lots (ie. 20+ pounds) to lose. Many dieters would be thrilled to lose 7 pounds in 2 months! I like to recommend doing the potato hack 3-5 days at a stretch, once a week or so, separated by “normal” eating, but being more mindful of bad choices and calories. Look through the variations section in the book, lots of people find that just by switching between the variations, they can keep the potato hack working better over the long run. For long-term weight loss, 3-10 pounds per month is fantastic. Losing at a slower, more controlled pace predicts long-term success. Good luck! Could someone use a variety of potatoes? Sweet, red, white, etc? Or its this meant to be with white potatoes only? Just not sweet potatoes, although several people have said sweet potatoes and yams work just fine. Wondering why no sweet potatoes. I’m into my third day of actual no potatoes after having eased into it with a greens/fruit drink the first two days and an almond hot chocolate on days 3-4. Now I’m working on 4 days of only potatoes but have been eating sweet potatoes as well, just a little as my last treat of the day. Probably about 20% of the daily intake. Oh, I also used a little almond milk to make my mashed potatoes… any problem with that or should that be avoided next time? Sweet potatoes seem to be just fine, as you have found. If I ever re-write the book, I will be more accepting of sweet potatoes and yams. A little almond milk is fine, too. The problems come when you use a little almopnd milk here, a little butter there, a bite of chicken and a handful of nuts. Try to stick as close as you can to “all-potato” for best results. I bought your book today and got to the part where it lists the difference in the composition of sweet potatoes and regular potatoes. Next time I’ll try just regular, though I have gotten good results and lost 4 lbs so far, and broken my bad large chocolate bar/day habit I had gotten into the last couple months. Kombucha is fine. Also kvass. And any kind of tea and coffee. Frozen potatoes are OK if they contain no other ingredients. I think oats and potatoes are a natural pair, and they would probably make a good combined hack, but not sure who the satiety and complete nutrition of oats compares to spuds…you could try, but I would run it through some nutritional calculators first. I love the potato hack and I am doing it for 3 weeks. I stubled upon the oral use of hydrogen peroxide but I am worried about my good gut bacteria. Some Sources say, that H2O2 is fully ingested in the stomach and does not reach the colon etc. some say that it only kills anaerobe bacteria and leave aerobe ones. And that this is good for the gut, but I am not an expert in this materia. Can you help me with good advice? Thank you, Herbert. H2O2, or hydrogen peroxide, should not be ingested! It can be used as an oral mouthwash, but even this practice is risky. H2O2, however, is a normal byproduct of several gut bacteria and it is used as a natural defense to kill neighboring bacteria. Lactabacillus, one of the most common probiotics, produces H2O2. There are other important enzymes that protect H. pylori against the ROS produced through internal metabolic processes as well as by neutrophils and macrophages during inflammation. Among these are superoxide dismutase (Hp-SOD), which catalyses the dismutation of the superoxide radical into hydrogen peroxide and molecular oxygen, and catalase (KatA), which converts hydrogen peroxide into water and oxygen. Another important anti-ROS enzyme is alkyl hydroperoxidase (AhpC), which is a highly abundant and conserved protein in H. pylori. This enzyme is a member of the peroxiredoxin family that has been shown to be capable of reducing different peroxides, but its major function under physiological conditions is to reduce organic hydroperoxides into non-toxic alcohols. I would heed all warning on the bottle of hydrogen peroxide and leave using it as an oral treatment to the professionals. Tim – Getting started on the Potato Hack tomorrow. One question – In all of the discussions about seasonings, I never read anything about the use of ketchup. Being a big ketchup fan, I am curious of whether it is permitted. Ketchup is fine, in moderation. Good luck! Everyone responds a bit differently due to the bacteria that inhabit their gut. 4 days is a great first try! Eat normally for a couple days and see if you normalize before trying again. Some people see greater long-term success even though each day does not bring huge weight loss. Good luck! Keep us posted. I’ve decided not to weigh myself for a bit but I measured myself before I started. Just re-measured and have lost 5 cm from my waist and 2 cm from upper thigh so after 4 days this is great. Looking forward to hacking again next week. Digestion still cranky but hopefully will reset itself. I guess it’s a detox which might have something to do with it. Hi, I just found out about the potato hack from my sister who is doing it. I was wondering if I have to cook the potatoes or can I eat them raw? Thank you for the response:). I actually bought the book and the kindle edition last night after I posted that question. I had a question about the Potato hack diet. I actually used to make baked potato plates by thin slicing potatoes and repeatedly toasting them in a toaster oven, freezing, repeat till they all turn crisp. Can I still do that ? is that similar to boiling them ? Also any spices OK to use ? salt, red pepper, black pepper, garlic etc etc. I al also thinking I’ll shred raw potatoes and add them in, say 10% to a batch of cooked potatoes, and when spiced right, I’d just perceive the raw as crunch. Get some RS2 in with RS3. These are all perfectly fine ideas. Most spices are OK, I go into great detail in the book. Adding some raw to cooked is a really good idea, if you like it. 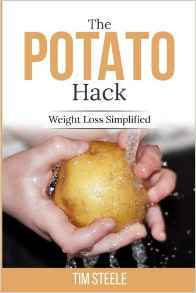 I just got your book and am wondering if you have heard from anyone using the Potato Hack to cure their SIBO. 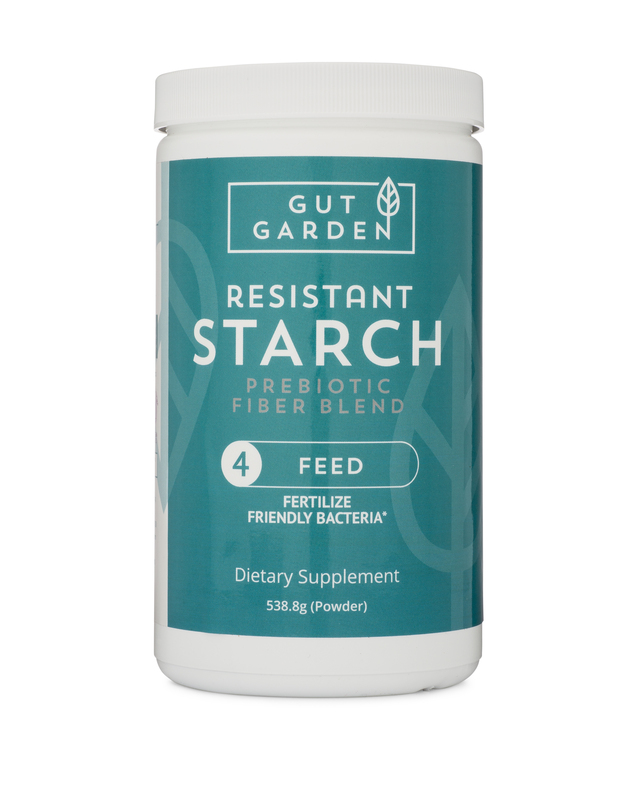 Most of what I’ve been reading says to stay away from resistant starch if you have SIBO but I can’t find much more info on how a potato-only diet would affect dysbiosis. I have been eating potatoes and white rice on & off in my regular diet and feel fine afterwards but I am a little apprehensive about detox symptoms if I go on a potato-only diet. Any info or feedback on how a Potato Hack-induced shift in gut flora can benefit people with SIBO? People with SIBO react differently to different interventions such as an all-potato diet. SIBO can mean many things, and not much is known about it, I suspect some bacterial or fungal overgrowths respond well to a potato diet while others respond poorly. You’d have to try and see. Here’s a good thread of comments of people discussing being helped by a potato diet: Tried the Potato Hack to Kickstart Weightloss and OMG The comments have been active this week, perhaps a comment there will get some more answers. Thanks Tim, reading those comments was helpful. I think I am going to give it a try. I suspect I will need to do it longer than 3-5 days to really shift the gut flora so hopefully my stomach doesn’t blow up with gas during that time. I have to believe that the body can and will eventually adapt to selectively feeding the beneficial bacteria over time but there may be some detox effects first. I’ll report back with my experience, thanks! Please do report back, I’d love to hear your experience, good or bad. If you are doing this for your gut mostly and not weight loss, perhaps you’d do well to eat “mostly” potatoes. Potatoes making the bulk of each meal, with some other foods that are safe for you as a small side. Some potato-only meals each day. did you end up doing the potato hack? i have SIBO as well and would really like to hear how it went for you, because I’m thinking about trying that for a few days. However I definitely don’t want to make things worse so if you could share your experience a little that would be great:) thank you! Would you ever recommend boiled potato in a can? I am not much of a shopper and was floored to learn that cooked potatoes could be found in a can. I’m not crazy about canned food, BPA linings and all. If you find them in a can that says “bpa-free” or just want a serving or two, they’d be fine. I would not want to eat 3-5 pounds of canned potatoes daily, though. I started the potato hack today and tried to baked hash browns from the book with regular gold potatoes. The bottom crisped up nicely but the tops were really gummy. Did I use the wrong potatoes for baked hash browns? I’m trying to understand the difference between difference types of potatoes and the results I’m getting. It looked from the book that red potatoes might be better for the hash browns. Does that sound right? Thanks so much! You really just need to experiment with different potatoes, cooking temps, cooking methods, etc. The real trick is finding a couple ways of preparing your potatoes that’s not too difficult and you enjoy eating. Personally, I like hashbrowns fried in a non-stick pan without oil better than oven-baked hashbrowns. You have more control over the done-ness and browning in a pan. But oven-baked French fries are really good! First – thatnk you for your good work. After finding your blog I ended up buying your book and spreading the word – 3 copies bought already. Over a 4 months periods 9 potato hacks (3 days each) ended with 12 kg weight loss. Quite satisfied! When I was reading about Chris Voigt in your book I remembered a comment Julia Child wrote in her seminar book Mastering that art of French cooking volume 2 ” … potatoes come so near to being the complete food that one can survive healthily on a diet of potatoes only, plus a very small amount of fat, for up to 5 months. Nutrition aside, the potato is an endlessly fascinating gastronomic object …”. Clearly Dr. Voight was following Julia’s suggestions! Send you some support to your RS test/research – very important. Looking forward to start using potato starch – but will have to find away to import it – as it seems it is not imported to Iceland. Aviko a Dutch company exporting potato starch worldwide has an office in Denmark. They may export to Iceland. Who knows you may be in luck. Thank you – will take a look! Björn, I’ve just found another Dutch potato starch exporter. Mariane Warnaer has Iceland in her portfolio. She may be able to tell you who in Iceland sells potato starch to consumers. Loved the book – thanks! My 2 questions are 1-How much (food grade) potato starch do you recommend when back to a normal diet and what do you do with it? 2-Any guidelines on how to reintroduce other foods when finished with the hack and if any certain first-day-back foods are recommended? Ok I guess that’s technically 4 questions. Hi Karen – Congrats on a successful hack! I recommend using potato starch as a supplement to get your fiber intake to around 35g/day. Most people get less than 10g, but with some effort, it’s not too hard to get 35g from real food. Search this blog for “In search of the perfect fiber” series, it gives lots of examples and amounts. I tend to use 2TBS of potato starch, banana flour, or Hi-Maize daily, mixing them up as I run out of one or the other. Some people tolerate one type better than another, too, so it pays to experiment if you like. I mix my starches in with yogurt, a smoothie, or just stirred in a glass of water if I’m in a hurry. There’s no real concern with adding back foods post-hack. But it is nice if you are mindful about eating in a “real-food” sort of way. Learn to stay away from processed foods and sugary snacks and you’ll be better off. Hey Tim….I wrote you last summer of a problem I encountered on the potato hack. I became extremely constipated and went on to develop an impaction. When doing a hack the year before I had large stools which easily passed. I think what was different the second time was that I had been LCHF right before. Oddly, this spring I got on a kick of eating Chinese food cooked in coconut oil with two cups of rice. I again became constipated and resorted to colonics. I read some of Dr. Ayers blog on inflammation. That coupled with advice from the colon practitioner to “eat right for my type” had me resolved to go keto again. Now I find Dr. Ayers here and he appears to support your methods. My gut is obviously wack and has me leery of jumping into a full hack. I have your ebook and will review it for pointers but do you agree with the supplement tips from Cooling Inflammation such as D3, Vit C,fish oil, bromelin, turmeric and glucosamine? Art gives good advice, and those supplements all sound good, but it sounds like you really may need a good dose of greenery in your diet. Now that summer’s here, hit the farmer’s markets and pig-out on some good local veggies. It really sounds to me like you are trying to engineer a diet that does not provide the fiber, nutrients, and chemicals that you really need. Heard about the Potato Hack on a podcast. The guest was a scientist and recommended boiling the potatoes and then cooling them before eating. The cooling effected the resistant starch in a positive way and was found to be optimized over two or more (boiling then cooling) sessions. For me, if I’m on here and trying this hack, then I’m desperate for a resolution to a problem and would be following the Hack without question. If you’re “trying to get away with” adding salt, ketchup or other tasty condiments, then you’re not really desperate enough and you’re changing the Hack to fall within the habits that got you into this mess in the first place. lol, good point! Good luck! Do you eat the skins or remove them? In the book he says to peel if not organic to avoid pesticides and Gmo potatoes. Hope this helps. Hi! I am 3 days into my first hack and doing well. Already down 3.5 pounds! My question is, can the hack cause headaches? I’ve noticed it the last 2 days. My guess is it’s from changing my diet so drastically since this is my first hack. Thanks for any insight or recommendations. That’s not a common complaint. Perhaps you have gotten a bit dehydrated and just need more water? Lack of salt causes headaches, I hear. Maybe use a bit more salt with your spuds. Thanks for the reply. I feel like I’ve been drinking plenty of water, but maybe not. I have been having salt with the potatoes. I tried no salt at first, but just couldn’t do it. My other thought as to what’s causing the headache is caffeine withdrawal. I usually drink a lot of sweet tea, so that could be the culprit. Hopefully it will go away in a day or so. Thanks again! I’m looking forward to hacking my way to a healthier me! Tim, I heard on a Joe Rogan podcast that you increase/improve the resistance starch properties of a potato by cooking and cooling it multiple times. My current regimen is baking 12 or so potatoes for an hour, cooling them, cooking them again for 45 minutes cooling them then cooking a third time for 40 minutes. Then I store potatoes in the refrigerator for the week eating them cold for each meal. Is this a good practice to maximize the potato hack ? This is not necessary for the potato hack, and only increases the RS by a couple percentage points. Good try, though! To really increase RS in your diet, just eat a couple slices of raw potato. Your thrice cooked potatoes probably have 5-10g of RS per potato. A 1/2″ slice of raw potato has 10g on its own. If you are doing the potato hack for weight loss or gut health, there’s no need to worry about the RS content of the potatoes you are eating. When eating only potatoes for a couple days, you are getting ample RS just eating freshly cooked potatoes, and most people find it easier to pre-cook the potatoes to save some time. In your normal eating habits, cooking and cooling potatoes (rice, beans, too) and storing in the fridge will help you to get more RS in your diet. One day two of the hack. No hunger – day one was simply a dash of salt and cracked pepper. – my only real challenge was that I found it hard to eat even two pounds of potatoes. 2 lbs is a LOT of any food. No hunger this morning – or even afternoon but I did have some oil free hash brown. Had no raw potato- they were good but I enjoy raw for hash browns best. I grew up eating Rosti. A traditional Swiss hash brown made plain or with onion. So good!! This afternoon I was gardening and have tons of fresh herbs – I couldn’t help myself so I made a ‘dressing’ for my evening potatoes. I put a handful of fresh flat parsley, fresh cilantro, 1 clove fresh garlic, dash of cayenne pepper, some fresh lemon juice – dash of salt and black pepper into a food processor on high. I used a little gravy (from your book) to loosen the ‘dressing’. Reheted the Yukon golds, cubed them and poured the dressing over the hot potatoes. Dear lord. I could eat that forever. If that’s a hack violation-please tell me- but I’ll probably eat it anyway 😬🤣. This seems like such a natural way to eat and that the science and results bear such positive results, I’m so happy to have finally found this. Does microwaving the potatoes adversely affect the RS formation? Started the Paleo Hack yesterday and lost just under 4 pounds. Excited to se what other benefits I will receive from this diet. Can I take Fish Oil on the diet? BTW: I do not need to lose weight but am doing this to reduce inflammation possibilities with ulcerative colitis. I ate 4lbs. of golden potatoes. What is the main idea of this diet? Cause I LUUUV potatoes lol and would probably do really good on it . I have thoroughly enjoyed reading your articles and comment sections. I am going to start my first potato hack tomorrow and am wondering if I have the methodology down correctly. I plan on boiling the potatoes and then cooling them off over night in the fridge. The question is when I go to eat them the next day am I allowed to eat them heated up or so I need to eat them room temp or even cold in order to maximize RS? I am looking to do the hack for difficult digestion and weigh loss reasons. Thanks in advance! RS. Im looking to incorporate more RS and potato starch seems like the best option. Hallo Tim, thanks for all the info you give us! Can i wait for a Dutch copy of your book? Or do i need to write it myself. lol I just started the potato hack and acording to most people here i have hope to lose some kilo’s. As long as my hot flushed do’t come back. Are there cmplaints about them while on the P Hack? I have not heard of complaints of hot flashes. “The Aardappel Hack.” Ik vind het hartstikke leuk! ok, Tim, thanks for your quick answer on the hot flushes. I will observe myself closely and report if they start to increase. I love this hack! Is it aloud to use some fresh garlic and nutritional yeats in my potato soup? And will there be a translation in Dutch of your book? Garlic and nutritional yeast should both be fine with the potato hack. Yes, I would love to hear a report back on your hot flushes. No, I doubt there will be a Dutch translation anytime soon. This is so interesting! My question is, how do yo maintain your weight loss after you have reached your desired weight and your guts are all happy 🙂 Do you PH once a day a week? Hi Alicia – There is a section on weight maintenance at the end of Chapter 3 in the book. Several different ways of doing it using potatoes. One of the best, I believe, is to a 3 day potato hack once a month or every other month. I’m on day 3 of my first potato hack (just doing 3 days this first time) and was wondering if you could expand on why cardio / heavy exercise should be avoided during the hack? I rely on cardio to blow off steam so it is something I really enjoy (though clearly not enough to balance my poor diet). Would 30 mins of cardio a day be contraindicated while on a hack? 30 minutes of cardio is fine as long as you feel good doing it and it’s not something you just started. I recommend not starting a new program or doing extremely demanding sports/exercise will potato hacking. Walking, jogging, etc. are fine. In your book you say that “anyone who has had boiled and steamed potatoes will say that steamed is much better”. So why do you boil your potatoes? Yeah, I just tend to make bigger batches when potato hacking, like 5-10 pounds at a time. I actually just got an Instant Pot which steams them easily. Steamed are much better than boiled, texture-wise. Sometimes boiling causes them to get mushy and fall apart. Okay. I wanted to hear your thinking on this. Both steaming and boiling involve water. Water makes food less calorie-dense and more filling, they say. Since boiling makes the potatoes mushy as you say, I guess boiling is the more watering of the two. I have no idea what effect, if any, this has on the hack. I haven’t tried it yet. I’m actually on my way to the market right now to get some potatoes to try it. I have been steaming broccoli, carrots, and cauliflower in the microwave. It’s very easy, although my steamer certainly doesn’t hold 5 pounds. As far as prep method on the hack…makes no difference, just eat potatoes any way you like. Just don’t use any fat on them. It’s way better if you can find a cooking method that makes you really like potatoes so you don’t get burned out too soon. And make sure you pre-cook lots of potatoes so you have snacks handy. Plan on eating 3-5 pounds a day, that’s raw weight, in case you wondered. No need weighing after cooking, and just eat til you’re full several times a day. Good luck!